Bamm-Bamm (as I now realise that is the correct spelling!) 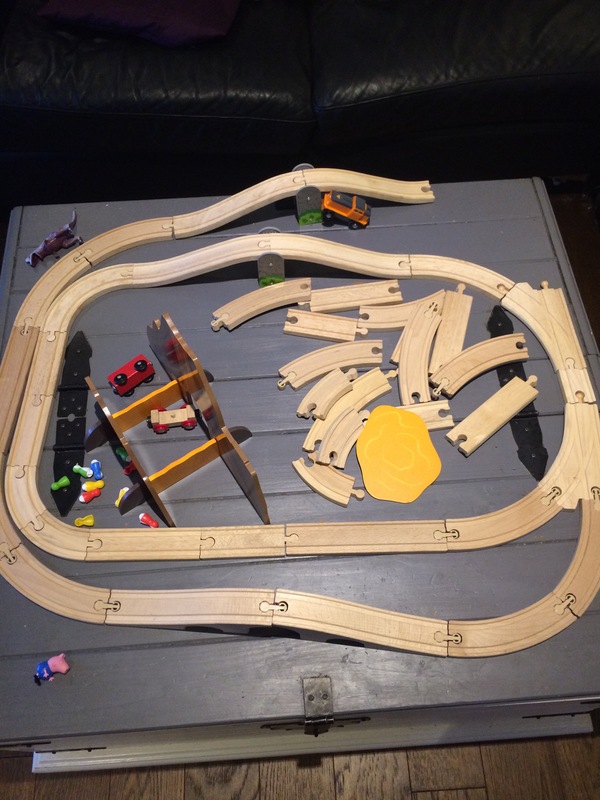 pulled out the train set, and wanted me to turn the battery powered train on, on the coffee table. Sadly the fun stopped as he was unhappy with the design.